This stunning luxury waterfront property possesses all the holiday delights that you could possibly desire. With 180 degree ocean views and prime beachside location, Aloha's Port Fairy accommodation is the perfect position to relax and unwind on Victoria's far west coast. You can enjoy stunning, panoramic views or satisfy your swimming, snorkelling and surfing desires at East Beach - just a mere 100 metres away. Experience the sights and sounds of the Port Fairy Spring Music Festival in October or the Moyneyana Festival in the summer. Or you can relax with a good book or enjoy a picnic along the tranquil Moyne River, just a short 500 metre walk. All this and more is readily available within walking distance of this luxury Port Fairy accommodation. With the ability to sleep up to 8 people, this two-storey, three bedroom home is ideal for families looking to escape the hustle and bustle of city life. Unwind in the spa, relax in the spacious lounge, or let the kids play safely in the wide open spaces. Inside this accommodation in Port Fairy you will truly be spoilt for space, privacy and comfort. This premium Port Fairy Accommodation comes complete with modern furniture and appliances which will keep everyone relaxed and comfortable. 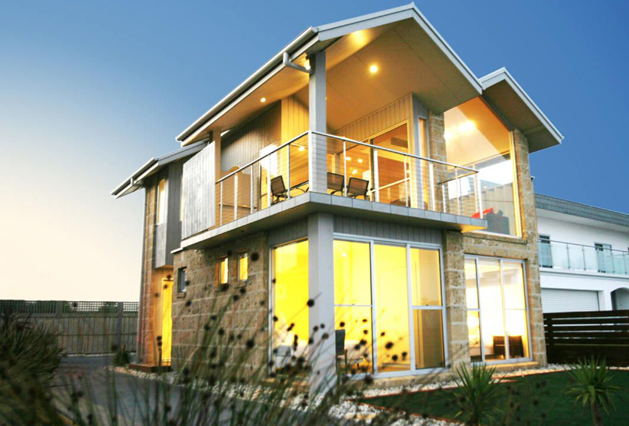 At Aloha you will experience Port Fairy Accommodation at its best! Every room at this guesthouse is air conditioned and is fitted with a TV and DVD player. Some rooms include a sitting area to relax in after a busy day. You will find a kettle in the room. Every room has a private bathroom with a hot tub and bathtub, with free toiletries provided.